THANK YOU! PLEASE WAIT WHILE YOUR PAYMENT IS BEING PROCESSED. Do not leave this page or click back until completed as your credit card may be charged more than once. See below for Spring & Summer classes! 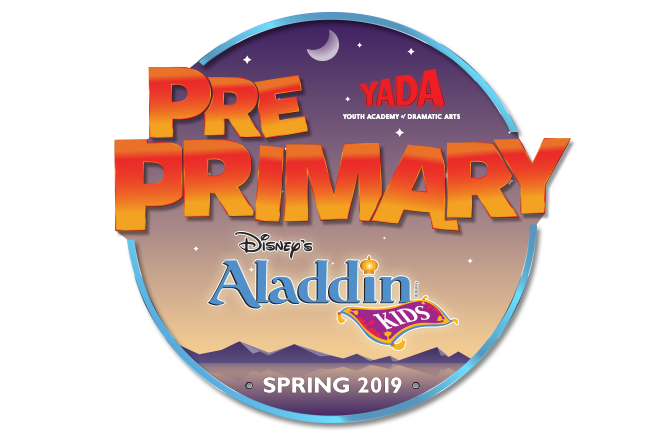 YADA invites you to explore a WHOLE NEW WORLD with us this Spring as we embark on a magic carpet ride with Disney’s Aladdin Kids! Filled with more thrills than ever before, this hit show features all of your favorite characters and songs you know and love! Let us grant your wish and make your dreams come true this Spring at YADA! Is your little one full of energy in the mornings and ready for some downtime in the afternoons? If so, our youngest cast offered at each one of our Once On This Island Jr. & Legally Blonde Jr. summer camps is for you! In this cast, the mornings will be filled with singing and dancing rehearsals where your child will learn and practice all of the material for their show. They will then get a one hour lunch break where they will get to watch a movie, followed by one hour of Zen time to rest their minds and bodies. In the two hours before going home, they will review everything they've learned that day and then finish up the day with some fun and games! 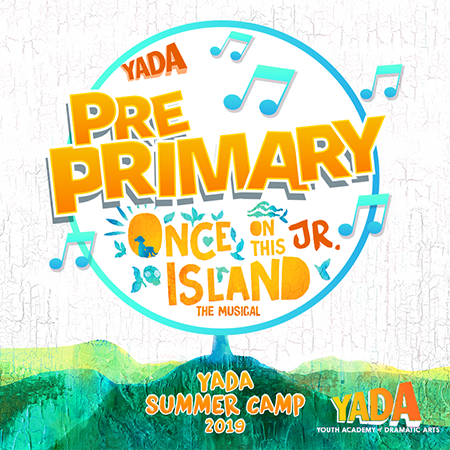 This cast is for ages 5 to 7 and is similar to our Pre-Primary level during the school year at YADA. Multiple Camps to choose from, see all of our awesome camps below! The pre-requisite for Pre-Primary is YADA TOTS. If needed, please call YADA to discuss which each class entails. Tony, Tony, Tony!!! The 2018 Tony Award winning Best Revival of a Musical, Once on This Island, is coming to YADA this summer! Get ready to sing and dance your heart out to this touching & catchy Caribbean-flavored score! Once on This Island Jr, a story featuring fantastical gods, wild animals, and even a fierce rainstorm, takes us on an unforgettable quest that tests the strength of true love, and teaches us that we are all part of the human heart. OMIGOD, you guys! YADA is doing Legally Blonde this summer! Pack your bags and head to Harvard with us as we BEND AND SNAP our way through this super fun show! Legally Blonde Jr showcases the bonds of friendship and the importance of believing in yourself through this hilarious and high energy musical featuring sorority sisters, law school students, hairdressers and more! 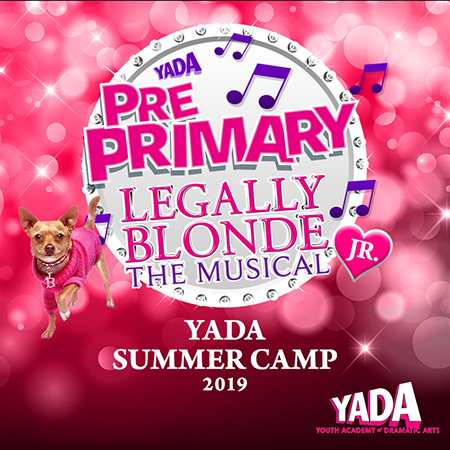 Trust us, Legally Blonde Jr at YADA is WHAT YOU WANT! © YADA 2019. All Rights Reserved.